Welcome to Blue Waters. 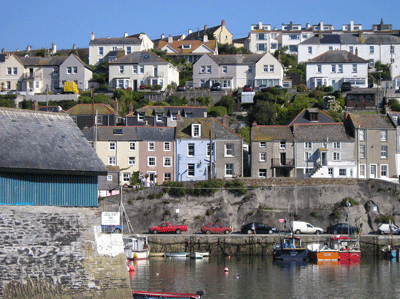 A successful family run holiday cottage in arguably one of the best locations in Mevagissey. Blue Waters is south facing boasts fantastic views out to sea towards Chapel Point and down towards the harbour! This extremely comfortable cottage accommodates up to 4 people, with its own dedicated parking space and garden area, in a fabulous seaside setting and just minutes walk from the harbour, shops and the nearest sandy beach. but don't just take our word for it, come and see for yourself! Changeover day is Saturday (arrival after 2pm and departure before 10am). All electricity and heating is included.. Children of all ages are most welcome .